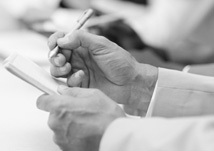 RKMS are a leading provider of training and consultancy throughout the UK and have also provided consultancy services throughout central Europe and the United States. Located in the Solaris Centre Blackpool we boast state of the art onsite training facilities. RKMS also have offices in Glasgow. We have worked with over 1500 companies to date and have implemented over 800 Management Systems enabling clients to achieve recognition to a variety of Internationally recognised standards as well as assisting clients with business improvement, health & safety and environmental complaince. 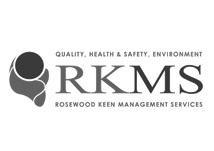 Rosewood Keen Management Services offer a professional service and provide a cost effective alternative to employing a full time Quality, Environmental or Health & Safety Professional. Our ISO certification service allows clients to concentrate on their business while procedures are put in place to ensure effective management of quality, environmental and health & safety issues. We have a number of associations with consultancy organisations providing support in Lean Management, EFQM, IIP, Charter Mark and Lexcel. Rosewood Keen Management Services and associates have been delivering training & consultancy since 1992.
issosmart™ is an online tool to enable you to build your own tailored ISO compliant management system in around 30 minutes. The system will contain all the documentation required to comply with the relevant ISO standard(s) and includes a user guide, manual, procedures, registers and forms.